The Fourth of July is almost here! It’s time to get out the red, white, and blue and celebrate our great nation. Get in the holiday spirit by creating these DIY patriotic mason jars. They are the perfect centerpiece at your Fourth of July gathering. These cute jars are easy to make and add a personal touch to the festivities. Once the paint is dry to the touch, take two of the jars and wrap two pieces of the washi tape around the jars to create stripes. Place the first piece of tape just under the rim and the other piece of tape a few inches below to create even stripes. Paint the two jars that you place the tape on with the red paint. Allow to dry. Take the third jar and place the vinyl lettering stars or stickers all over. Then, paint the entire surface of the jar with the blue paint. Allow to dry. Once all three jars are completely dry to the touch, remove the tape and stars to reveal the American flag pattern! For the distressed look, use sandpaper to lightly sand the surface of each jar. Finally, put a coat of clear enamel spray paint to finish. Allow to dry. These patriotic mason jars are great for a centerpiece at your Fourth of July gathering. You can use them to hold utensils like forks, knives, spoon, or straws at the picnic table. You could use your jars as a centerpiece, just place fresh cut flowers in each jar. If you want to add some lighting to the table in the evening place a candle in each jar. Crafting is fun and adds a personal touch to your party. But as with any DIY project, there is a chance that you will make a mess. That’s OKAY! We have some tips to help you remove acrylic paint from your carpet if your crafting project somehow made its way there. Use a clean white cloth or paper towel to blot as much excess paint up as you can. Be careful to never rub the stain, this will only spread it further. Apply an acrylic paint and varnish remover (available at your local hardware store or paint store) to the stain using a clean white cloth. Start blotting at the edge of the stain and work your way in. Carefully scrape away the paint as it softens. Repeat steps 2 and 3. Be careful to only use a small amount of the remover, until you have removed as much paint as possible. If the stain is still there, work glycerin onto the stain and let it soak for a few hours. Next, sponge on a cleaning solution of mild liquid hand dishwashing detergent and warm water. Blot until all the liquid is absorbed. Then, make a solution of one part vinegar to ten parts water and sponge the solution onto the stain. Additional tip: Be careful when using the paint and varnish remover on carpet. Too much can cause the stain to spread and create a whole new problem. It is best to use a very small amount of the paint and varnish remover and work at just a small section at a time. It is important to address an acrylic paint stain as soon as possible. Once the paint dries it can be extremely difficult to remove. Summer is a busy time of year. There are graduations, family reunions, and parties. Your carpet can really take a beating during this time of year. 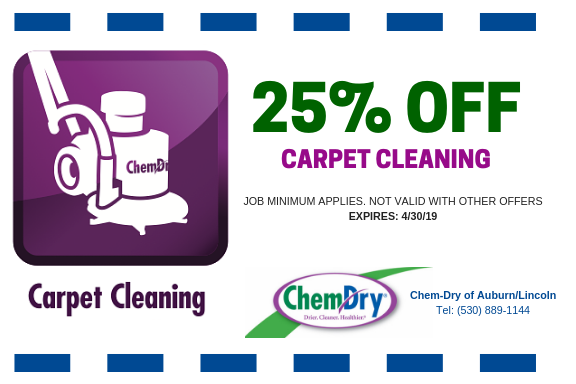 It is recommended that you have your carpet professional cleaned at least once a year. 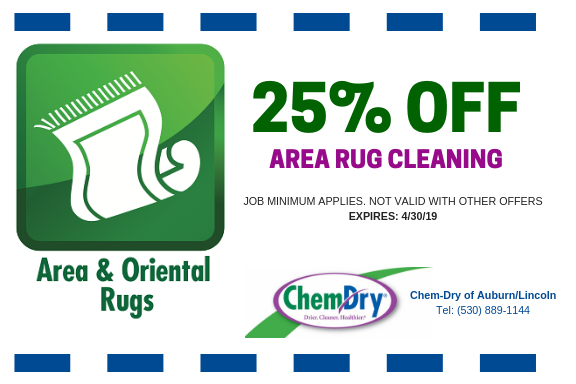 Chem-Dry of Auburn/Lincoln‘s technicians use TLC (tender love and care) to bring new life to your carpets by removing built up dirt, dust, and stains that are embedded in your carpets. 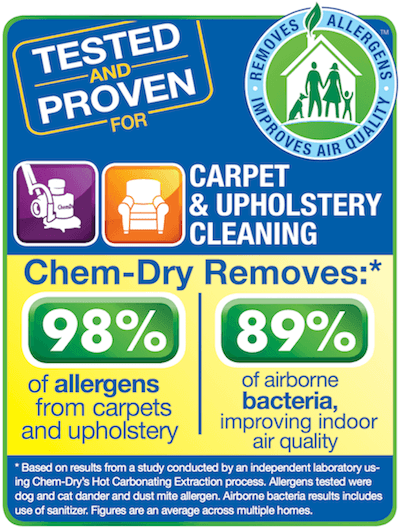 Chem-Dry of Auburn/Lincoln uses a green-certified cleaning solution called The Natural that is 100% chemical free and safe for your family and pets. 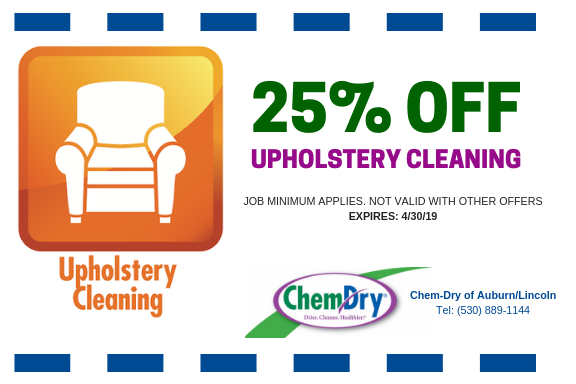 For more information about Chem-Dry of Auburn/Lincoln call (530) 889-1144.